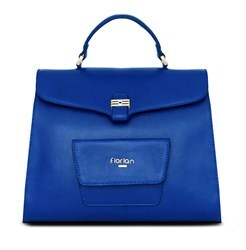 Florian London launches its second collection of high-quality leather handbags on Kickstarter. Each highly designed handbag boasts functionality with organized compartments for all of her devices. Equipped with our passion for design, we embarked on a mission to create truly luxurious leather handbags where great design meets practicality. High fashion handbag company Florian London is launching its second line of handbags on Kickstarter. Providing today’s women the ability to store and organize their belongings while staying fashionable has been the basis of the company’s products. Funding for the new line will make possible improvements in design, as well as open up production and fulfillment avenues globally. Inside each Florian London handbag is a variety of intelligently placed compartments for quick, organized storing and retrieving. Every model features pockets for a smartphone, a wallet, coins and a key hook that helps ladies reclaim wasted time digging for them. Larger models feature easy storage for a tablet and up to a 13-inch laptop. Lugging around dual bags – one chic and one clunky – is a thing of the past. Edwards’ affinity for design has brought the new Florian London line of handbags to a heightened level. Each piece is made of naturally tanned calfskin and lined with an exclusive Alice in Wonderland print on high-quality cotton to celebrate their British heritage. The clasp’s design was inspired by the iconic old English castle gates, keeping belongings safe and secure. The models in this new line vary from runway-ready clutches to crossbody purses to city shopper totes. To learn more about Florian London or to place an order, visit http://kck.st/12TdWyj on or before October 4, 2013 when the project’s crowdfunding campaign ends. Edwards will then move toward full production, and the 2013 collection will be available at http://www.florianlondon.com.